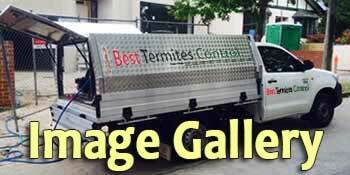 Best Termites Control provides Termites Reticulation Systems (chemical barrier protection for termites) in Melbourne. Call us now to get a Free Quote. HomeGuard Blue Sheets Pre-Construction Termite Protection Physical Barrier to the perimeter of the slab. We are a company specialised in Pre-Construction termite treatment. We provide Builders and Owners with effective Pre-Treat termites service in all Melbourne Metro area. We are qualified to install both physical and chemical Termite Prevention barriers including Biflex Aqua Max and HomeGuard. Part A & Part B can be either physical or chemical treatment before concreting is done. Renovating or extending your home or building a brand new home? We are qualified to install both physical and chemical Termite Prevention barriers including Biflex Aqua Max and HomeGuard. Drill and Inject of the Chemical is a prevention and corrective treatment. This treatment is carried out when the soil around the building is covered by the concrete layer such as driveway. We have recently treated this method at an existing house in Lower Templestowe, our team drilled and injected the chemical Termidor to create a termicidal barrier around the perimeter of the building. This termicidal barrier will act as a protective shield against termite intrusion. Best Termites Control provides physical and chemical termites protection solutions in different areas of Melbourne (including Dandenong).